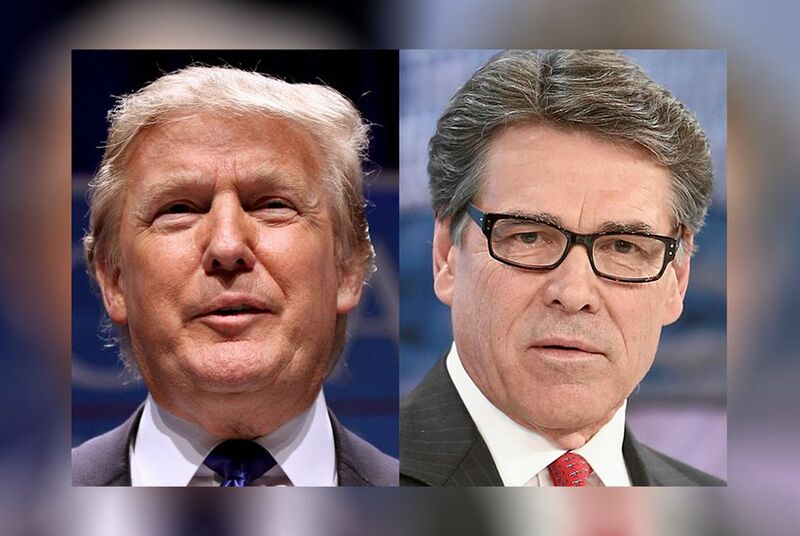 If Rick Perry heads to Washington as Donald Trump's energy secretary, he’ll have to reconcile his new gig with his past comments on D.C., the federal government, and of course, Trump himself. Take a look at what he's said. If former Texas Gov. Rick Perry heads to Washington as Donald Trump's energy secretary, he’ll have to reconcile his new gig with his past comments on D.C., the federal government, and of course, Trump himself. Here are some of the things Perry has said about his potential future colleagues on Capitol Hill. During the now-infamous 2011 "oops" debate, Perry forgot the name of the third federal agency he wanted to shutter — the Department of Energy. “I will tell you, it is three agencies of government when I get there that are gone: Commerce, Education and — what's the third one there? Let's see ... The third one, I can't. Sorry. Oops." He called Trump out for "wrongly demonizing Mexican-Americans for political sport,” and said he is "the modern-day incarnation of the Know-Nothing movement." “The idea that they’re telling us how to educate our children or how to deliver health care or how to, for that matter, clean our air is really nonsense,” he said on Glenn Beck’s show in 2011. “We have a culture in Washington, D.C., where these corporate lobbyists have these cozy relationships with the people that they’re regulating,” he said on CNBC in 2011. “Washington doesn’t need a new coat of paint. It needs a complete overhaul,” he said of Congress during his presidential bid in 2011. “An armed populace can do more to deter crime than a thousand laws passed by Congress,” he said in a 2012 Facebook post following a speech at a National Rifle Association conference in St. Louis. “Congress certainly can't be trusted to watch our money,” Perry said in a 2011 Facebook post. With President-elect Donald Trump set to tap former Texas Gov. Rick Perry to head the department of energy, here's a closer look at the energy legacy of the state's longest-serving governor. If confirmed as energy secretary, Perry will oversee American energy policy and its ramifications on the economy, environment and national security.